Life is “the condition that distinguishes organisms from inorganic objects and dead organisms, being manifested by growth through metabolism, reproduction, and the power of adaptation to environment through changes originating internally. This definition makes patently clear that there is no “life” at fertilization. When a sperm and an ovum join, they set off a complex series of chemical reactions. Simply, the fertilized cell starts to divide, a process called mitosis. As this process repeats itself, the fertilized egg becomes a cluster of cells, which then magically and beautifully becomes a human embryo. By the way, Powers’s chosen authority on what words mean also defines “human being” simply as “any individual of the genus Homo, especially a member of the species Homo sapiens,” and/or “a person, especially as distinguished by other animals or as representing the human species,” which seemingly means that the personhood debate is settled in our favor. Thanks, Janis! Some may confuse the replicating cells as a “life” form. And cleverly, the Pro-Life taxonomy has decided to include this phase of cellular modification under its safety umbrella by claiming that “life begins at conception.” This slogan is problematic because the divine protection it seeks to assign is applied with varying vigor, based on the location of the zygote. Uh, no, that’s the opposite of our point. We’re the ones arguing that location doesn’t make one any more or any less human. In other words, fertilized eggs inside a woman’s body are treated differently that those created in a petri dish. If life begins at conception, the where’s the uproar over the dispensation of scientifically fertilized eggs? Even more disconcerting is that typical in vitro fertilization necessitates the insertion of numerous fertilized eggs into a woman’s womb. The expectation is that several of the eggs will die, with the hopes that at least one will survive. If she’s truly unaware of pro-life objections to in vitro fertilization, she can start familiarizing herself with them here or here. Biologically speaking, by the time a woman gets around to learning that she’s pregnant and to arranging for an abortion if she desires/is able to have one, the zygote has developed into… something. Thanks to amazing technological advances, we are able to detect humanoid features in the earliest stages of embryonic development. The Pro-Life movement, a philosophy of faith-based beliefs, ironically relies heavily on this technology to justify its cause. We’ve all heard the slogan, “Abortion Stops a Beating Heart.” Reading it on a bumper sticker fails to communicate that when a heartbeat is first detected, the size of the embryo is comparable to a lentil. Some people call that life. Some people call it life, and still want an abortion. 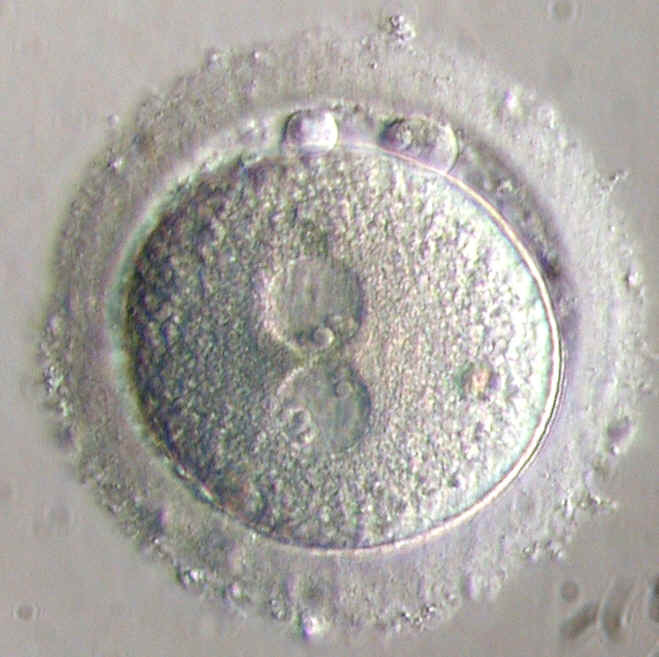 Whether a first semester embryo is a person worth protecting is a matter of opinion. And we cannot continue to enact restrictive anti-abortion laws based on opinions. No, it’s a matter of reason, science, and first principles, and the opinion aspect is no greater or smaller than the degree to which all political questions come down to opinion. That’s why our system decides things by voting: to decide between differing opinions. If a majority of people are persuaded that life at fertilization is more reasonable and that protecting all life is more just, why can’t we enact laws based on it? In a society of religious freedom and tolerance, the only faith that is constitutionally binding is our faith in each other. And I have faith in women. Okay, now you’re just making stuff up. “Faith in each other” is a Disney platitude, not a governing philosophy. Not only is there nothing in American law making it “constitutionally binding” (seriously? ), but America was founded on almost the exact opposite idea: human nature being what it is, nobody can be trusted to lord it over the rights of another. Consider that in the majority of divorce cases, primary custody of the children goes to the mother. We as a society believe that the mother is the person best positioned to make choices for her children. Perhaps, but the really wrong choices, like neglecting or abusing her kids, are still illegal. Some believe that a zygote’s or an embryo’s rights are more important than those of the woman who must carry it. If that is the case, then why is it legal for pregnant women to smoke? We have clinical data that proves that smoking is detrimental for a developing fetus, yet we still allow it. We allow pregnant women to drink alcohol and to eat poorly. Isotretinoin (Accutane) is a drug that is used to treat acne but that causes severe fetal injury and birth defects. The FDA restrictions for isotretinoin are so tight that before the medication can be dispensed, a woman of childbearing age must pledge to use two forms of contraception if she is sexually active. Prior to filling the prescription, she also must verify the types of contraception she is on via the Internet or telephone and take two pregnancy tests (one administered by her doctor and one by a certified laboratory), both with negative results. She must use the most accurate tests available (never home pregnancy tests) to confirm that she is not pregnant. We accept these as reasonable restrictions on a woman’s right to bodily autonomy in order to optimize the safety of her child. Powers concludes by proposing a replacement for “pro-choice”: “call me Pro-Faith.” Which may be more apt than she realizes – her column embodies everything wrong with stereotypical faith: deciding significant moral questions on feelings rather than reason, a tenuous grasp on science, and twisting and skipping fact and logic in whatever way is necessary to arrive at a pre-selected dogma.